these food items can build a film on your garbage disposal blades over time, dulling them and potentially damaging your unit’s performance. Instead, use a paper towel to swipe off the surfaces of plates and bowls before putting them in the sink: it’ll make cleanup easier, as well! There’s nothing quite like a good drumstick, but your garbage disposal doesn’t share your enthusiasm for leftovers – at least when it comes to the bones of your turkey, ham, or chicken. Not only will bones make a loud, unpleasant clattering noise, they could also damage or break your disposal. They may look little and harmless, but moisture-loving grains like rice can stick together and expand in your disposal, gumming up the works and potentially causing a backflow situation. Save unused portions to make tasty soup later, and dispose of any plate leftovers in the trash can. Fibrous veggies like carrots and celery will leave problematic “strings” behind that can give your disposal “indigestion,” and peels can collect and stop up your sink. Relegate these vegetable leftovers to the compost or garbage. The same applies for eggshells, which have an inner membrane that can cling to disposal blades. There are a lot of garbage disposal “hacks” that indicate stuffing a whole lemon in your disposal will help clean and deodorize it. While lemon juice will definitely help and won’t hurt your disposal, a whole lemon or cut wedges can become stuck and have the opposite effect. If your disposal has a bad odor or makes unusual noises, schedule a service appointment with a garbage disposal expert instead. 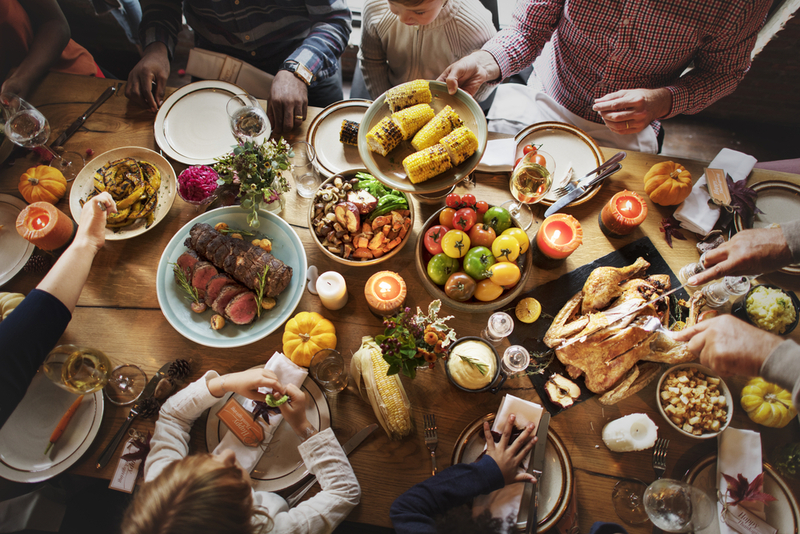 To keep your holidays as stress free as possible, avoid politics at the dinner table, enjoy plenty of second helpings, and call Green’s Plumbing Company for a free estimate on garbage disposal installation, repair and service.